The Rubber Cafe Design Team Blog: Take A Peek at Take Flight! Take A Peek at Take Flight! If you are looking for the blog hop, head HERE! Today I am so excited to show you all the wonderful supplies you will be receiving in your December Creative Cafe' Kit of the Month - Take Flight. This is such a wonderful kit full of everything you will need to create some truly unique cards! Here is my first project that I created with the kit. 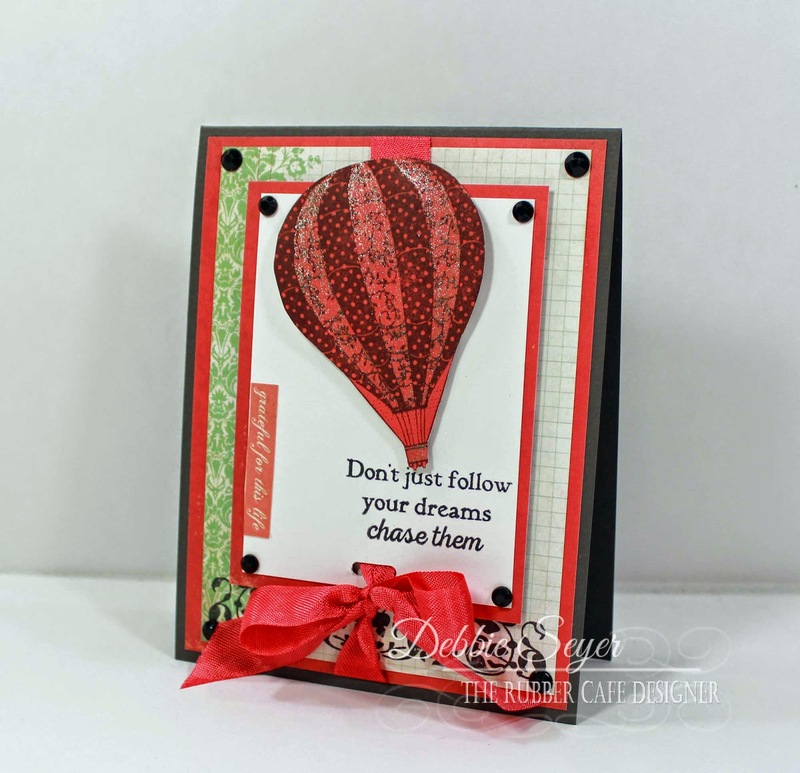 I just love the hot air balloon image from the main stamp set - Soaring Above. Here is a short video showing how it all comes together!